For yours and your family’s piece of mind, book in a Service on your caravan or RV before your next trip. Our qualified technicians will assess all aspects of your gas, electrical, braking systems and provide a report on any issues that exist or may occur in the near future. We also service all types of trailers, for example horse floats, fifth wheeler, bobcat and equipment trailers including boat trailers. These items below are not included in the service but are available if required. Replace gas hoses from regulator if required. At Northern RV Services all types of body repairs can be carried out to the highest standard. At Northern RV Services we specialise in the supply and installation of both gas and diesel heating for your caravan. We will advise you on what type of system best suits your needs. We only use quality proven brands that meet all Australian standards. Whether its instantaneous or storage hot water systems you would like we have the best option for your needs. We use quality brands such as Suburban & Girard both from the USA. We can also supply portable instantaneous hot water system that runs off LPG great for the free campers. Northern RV Services has range of grey and fresh water tanks ranging from 50ltrs to 110ltrs and can supply or even fit them onsite at our Campbellfield location. You may need additional water storage fitted to your van, then NRV is the place to meet your needs. We also have quality Australian made tank gauges and senders to ensure your water levels are managed correctly. New on the market and available from Northern RV Services is an AIR LIFT SYSTEM for your roof. Don’t raise a sweat or strain your self lifting your roof of your pop top or camper. Have a RV roof air lift system to unit. This system takes the back breaking effort it can take to lift a roof. 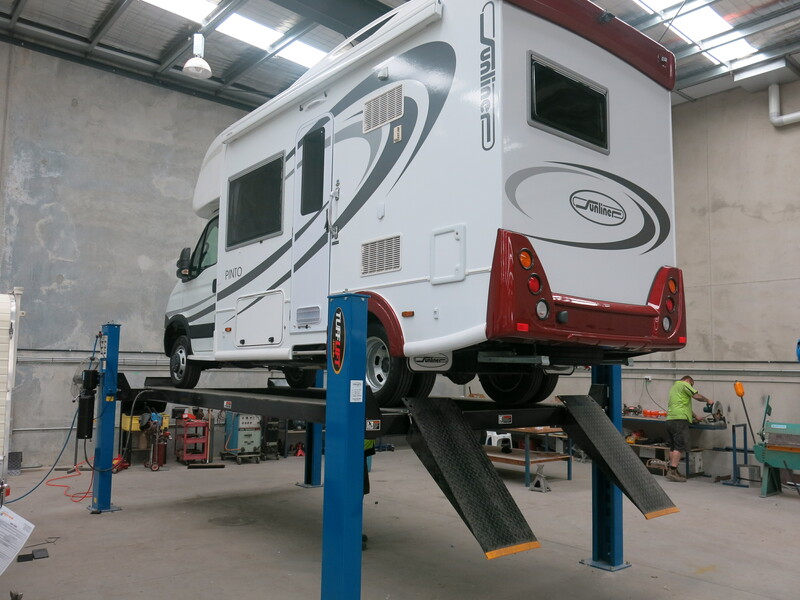 If you are finding it difficult to raise your roof on your pop top or camper, instead of replacing your RV have an air roof lift system fitted making easy raising of your roof in quick time. All systems are custom made to your RV. Please call us for a quote. Northern RV shipping container fit out include a wide range of options. We specialise in portable toilet blocks, workshops, site offices, accommodation and can meet individual purpose fit out. Northern RV offer off the grid solutions to enhance any Caravan, RV or camper. We strive for enhanced outdoor experience, work towards building lifestyle enjoyment for you and your family.